In what Reuters has dubbed a massive "show of force", dozens of Chinese warships have been observed on satellite imagery, exercising with an aircraft carrier and warplanes above the heavily-disputed South China Sea, as part of the previously noted massive military drills, which the PLA ominously said were "in preparation for war." 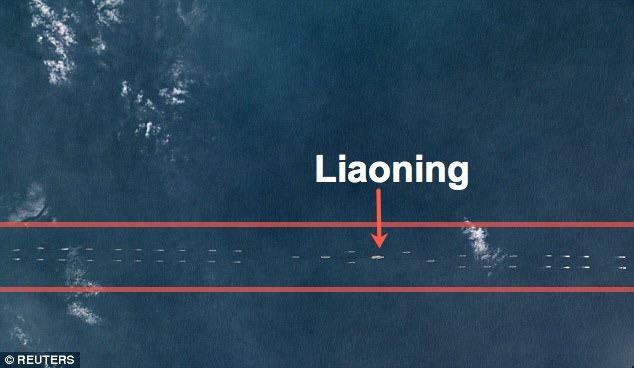 The four images, provided by Planet Labs for Reuters confirms the Chinese aircraft carrier Liaoning joined the annual naval war drill earlier this week. 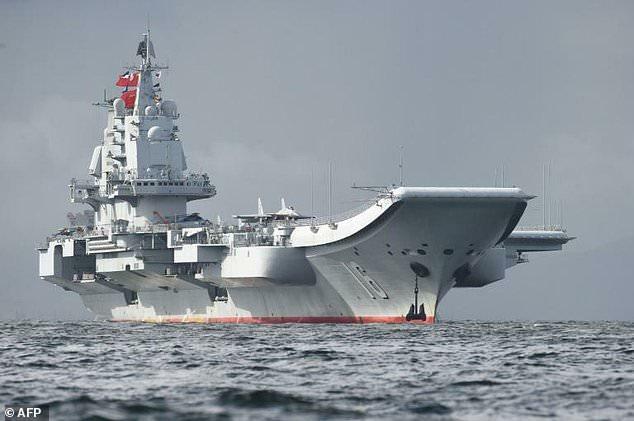 According to the Taiwan Defense & National Security ministry, late last week Taiwan sent two ships and military aircraft to shadow the Chinese aircraft carrier group through the narrow Taiwan Strait. The images, taken on Monday by Planet Labs flock of miniature satellites, show at least forty naval vessels, submarines, and aircraft in what some military strategist “described as an unusually large display of the Chinese military’s growing naval might,” said Reuters. Up to forty naval vessels can be seen in a line formation, while submarines flank the aircraft carrier called Liaoning labeled below. Liaoning, a Type 001 aircraft carrier, is the first aircraft carrier commissioned into the People’s Liberation Army Navy Surface Force, a branch of the People’s Liberation Army Navy. 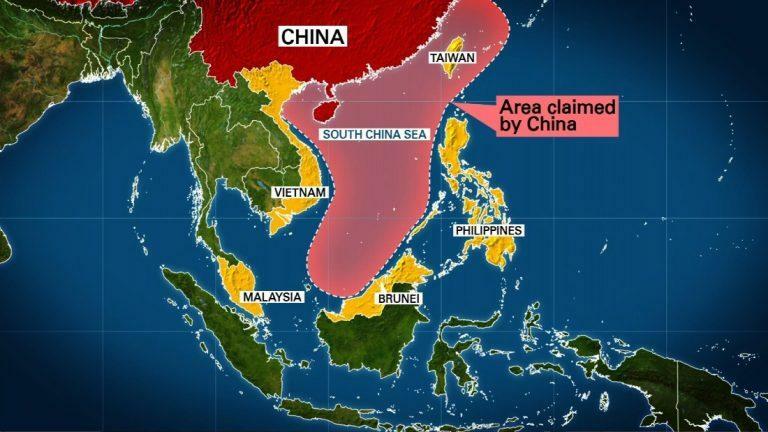 Some military strategists believe that China could use the carrier group and its militarized islands to defend its maritime territorial and exclusive economic zone (EEZ), as well as claims in the East China (ECS) and the South China Sea (SCS). “While it highlights an extensive ability to deploy, we are still left to guess at China’s combat readiness,” Koh said. There are still many unknowns surrounding the final destination and duration of the exercise. Nevertheless, Marine Traffic shows that the drill is being conducted in some of the busiest shipping lanes in the world. What does this all mean? For China to keep peace in the South China Sea, it requires Beijing to conduct continuous large-scale deterrence naval operations in the region. This will be the first of many such "deterrence" ops in which China will parade its massive fleet of warships throughout the heavily contested waters. However, neither Beijing nor Washington want war in the region; at least for the foreseeable future. Still, China’s worst-case scenario, in which someone does take it on its dare, might have been realized with the new addition of President Trump’s new National Security Advisor John Bolton. 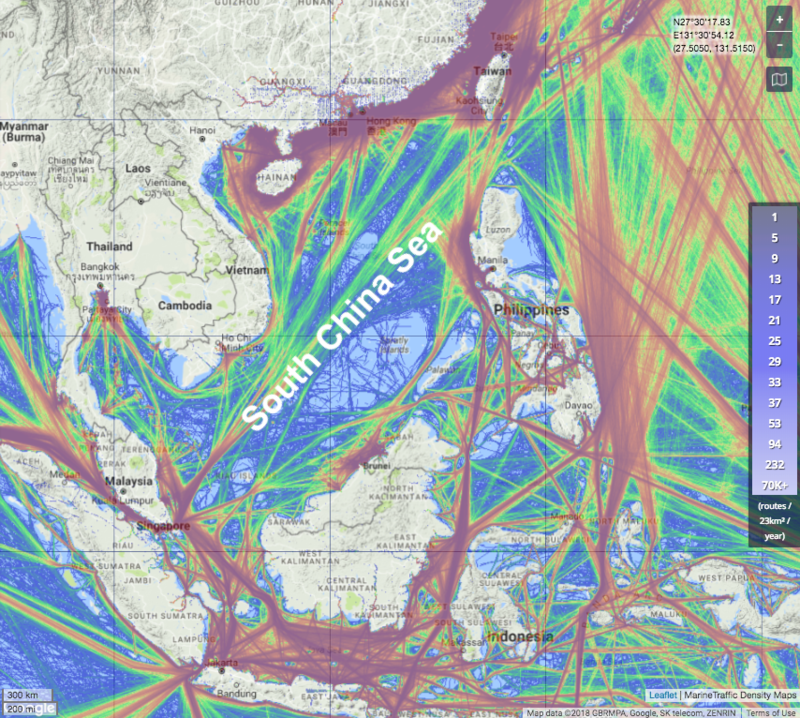 For that reason, the situation in the South China Sea will continue becoming tenser in the months ahead.